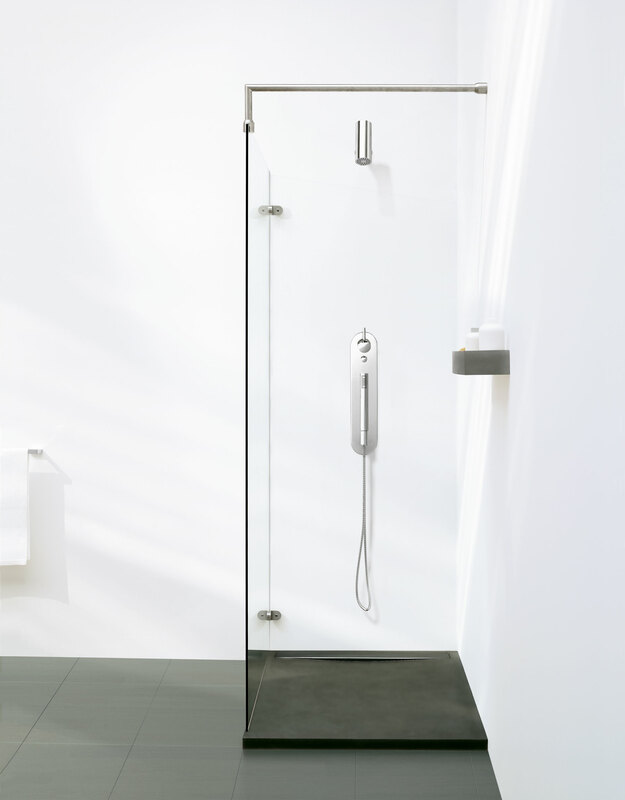 A basic requirement for the design was the possibility to fit onto a standard-sized shower tray. The tray rests on a flat piece specifically designed for this purpose. The inside surface has a slight inclination so that the water runs towards a covered stainless steel drain. 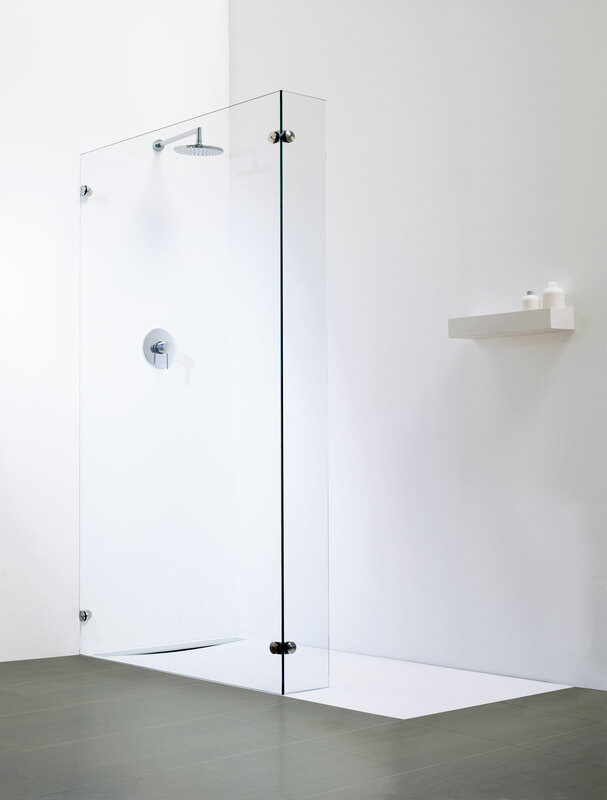 The shower is designed to be thin enough so that it can be installed on top of the floor or built-in to the floor. 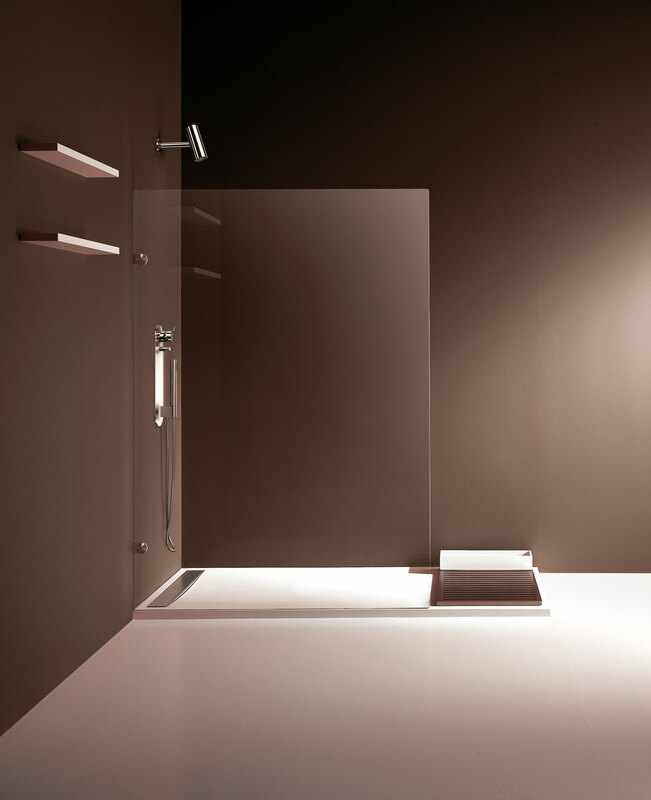 Two items were designed to complement the shower: a wooden drying platform and a container for shower accessories (bottles, sponges, etc). The container was made out of the same material as the shower tray, both Stonefeel® and natural rocks, and is available in two standard sizes: 80 x 130 cm and 80 x 180 cm, with the option of customising to any length between 130 and 180 cm.